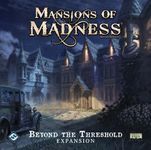 Description from the publisher: The second Figure and Tile Collection brings pieces to Second Edition from both first edition expansions, Forbidden Alchemy and Call of the Wild. Suppressed Memories includes eight investigators, fifteen plastic monster miniatures, and seventeen double-sided map tiles. You may choose to play as Bob Jenkins, the charismatic salesman from Call of the Wild, or the insightful psychologist Carolyn Fern from Forbidden Alchemy. Consider your investigators carefully, because it will take exceptional strength and will to escape a threatening Byakhee or an unsettling Nightgaunt. The Suppressed Memories scenario is based on the collection’s Call of the Wild content, meaning those with the original Call of the Wild expansion will be able to play as well. Adding the Forbidden Alchemy expansion as well, however, will increase the number of scenario variants available to you. 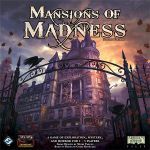 Fans of the original game may recognize this scenario as a reimagining of a First Edition scenario, featuring the return of Zebulon Whately and an attempt to interrupt a sinister happening in Dunwich. You won’t know exactly when your time is nearly exhausted, though, so tensions are sure to run high as you race to stop your occult enemies from carrying out their task.